Two more shows have been added to the North American leg of the band’s #U2eiTour. The band will play the CenturyLink Center in Omaha NE on Saturday May 19th and the Mohegan Sun in Uncasville, CT on Tuesday July 3rd. 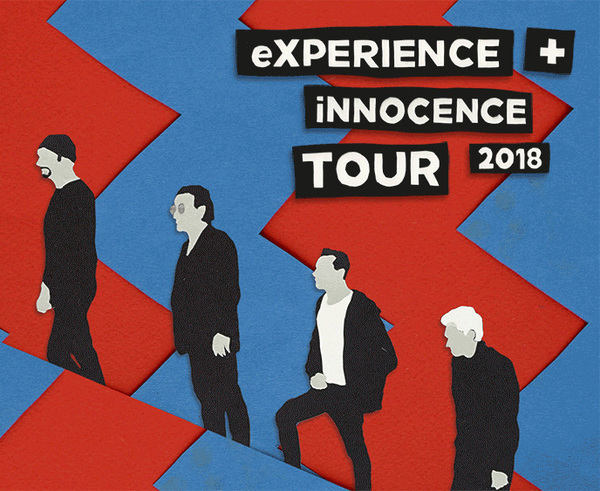 A presale for U2.com subscribers will open tomorrow, Tuesday, March 6th - from 10am ET/9am CT for eXPERIENCE Group subscribers and from 11am ET/10am CT for iNNOCENCE Group subscribers. The presale will run until this Thursday, March 8th at 5pm (Local). Tickets go on general sale this Friday, March 9th (10am) for the Uncasville show and next Monday, March 12th (10am) for the Omaha show. Subscribers who have not yet used their unique ticketing code in presales for U2eiTour dates will receive an email with their code and may purchase up to two tickets for one of these shows. (PLEASE NOTE: the Verified Fan system will not apply in this presale). Find the latest confirmed North American and European cities and dates on our Tours Page.